Manufacturer Of Rubber Cords In Mumbai The company has carved a niche for itself as a major Manufacturer and Supplier of Rubber Cords in Mumbai. The company offers the best grade Rubber Cords at the market leading prices on a timely basis. The range of the Rubber Cords is inclusive of Extruded Rubber Cords, Round Rubber Cords and Silicone Rubber Cords. Manufacturer Of U Shaped Rubber Seal In India We offer a wide range of U Shaped Rubber Seals that are largely known for their resistance against aging, wearing, corrosion and weather. Our U Shaped Rubber Seals are manufactured using high quality of materials such as EPDM, silicone rubber and PVC. These seals have good tight dimensional tolerances and an excellent compressibility, elasticity and adaptability to uneven surfaces. 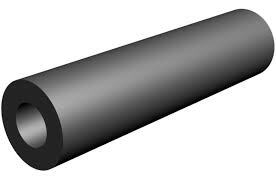 We are a prominent Manufacturer and Supplier of U Shaped Rubber Seal in Mumbai, Maharashtra. We can customize our rubber seals as per the specifications provide by the buyers. Also, buy them from us at highly affordable prices. Manufacturer Of U Shaped Rubber Seal In Thane We offer a wide range of U Shaped Rubber Seals that are largely known for their resistance against aging, wearing, corrosion and weather. Our U Shaped Rubber Seals are manufactured using high quality of materials such as EPDM, silicone rubber and PVC. These seals have good tight dimensional tolerances and an excellent compressibility, elasticity and adaptability to uneven surfaces. We are a prominent Manufacturer and Supplier of U Shaped Rubber Seal in Mumbai, Maharashtra. We can customize our rubber seals as per the specifications provide by the buyers. Also, buy them from us at highly affordable prices.